Straughan Photography awarded the Knot’s Hall of Fame! Home / All / Straughan Photography awarded the Knot’s Hall of Fame! 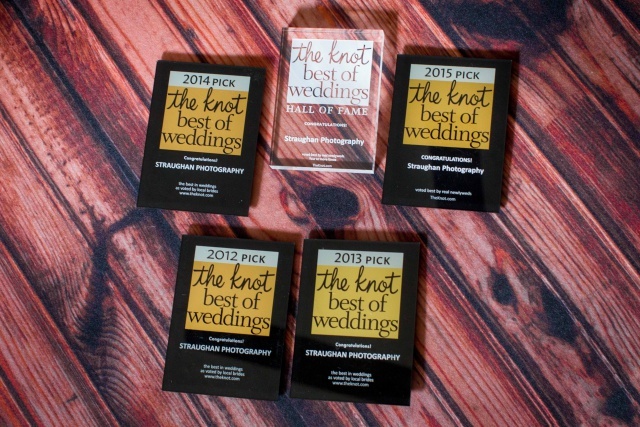 San Antonio, TX/October 8, 2015– Straughan Photography is pleased to announce that they have been inducted into The Knot Best of Weddings Hall of Fame. Exceptional wedding professionals who have earned four or more The Knot Best of Weddings awards are inducted into the prestigious The Knot Best of Weddings Hall of Fame. The Knot Best of Weddings is an annual guide to the country’s top local wedding professionals and represents the highest-rated wedding professionals as reviewed by real couples, their families and wedding guests on The Knot. To determine the winners, The Knot assessed a sample of almost one million real reviews across the various vendor categories—venues, musicians, florists, photographers, caterers and more—that a bride or groom would want in order to inspire, plan and pull off their own unique wedding. This year, The Knot Best of Weddings winners represent the top 2% of local wedding vendors listed on TheKnot.com. There were only 748 new inductees into The Knot Best of Weddings Hall of Fame for 2015. Congratulations Chrystina and the team at Straughan Photography .